Located between Genoa and Livorno, La Spezia is one of Italy's major ports on the Ligurian Sea and is the home of the Italian Navy’s arsenal. Although the area, now known as Lunigiana, was settled in ancient times, most of the action was centered around the town of Luna, settled by the Romans in 177 BC with at the mouth of the Magra River. It began to lose its power around 500 AD and by 1050 AD, when the port silted over, it was abandoned. By this time, many towns had sprung up along the coast between Genoa and Livorno including Lucca and Pisa to the south and La Spezia to the west. By the 1200s, it was linked with Genoa until the fall of the Genoa Republic in the 1700s. Air-conditioned and licensed roundtrip private transportation from your Transportation Hub at the La Spezia cruise port! Walking time in Florence's Historic District! Photo stop in Pisa for the Field of Miracles and its leaning tower! 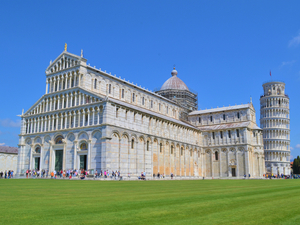 Discover the art, culture and history of Florence and Pisa with this private excursion. You will have the opportunity to visit places such as the Baptistry and Piazza della Signoria. You also view the Leaning Tower of Pisa. This is a lifetime experience, enjoy! Air-conditioned and licensed roundtrip private transportation from your La Spezia cruise port! Private English-speaking driver and captain! Guided visit to Riomaggiore and Vernazza! Pesto making demonstration in Vernazza! Private Boat cruise of the Cinque Terre Coastline! Enjoy a full day private excursion from La Spezia to the beautiful Cinque Terre. 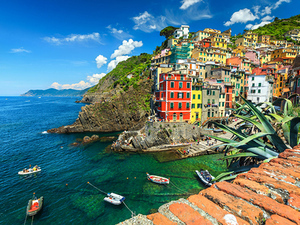 You'll be able to explore Riomaggiore and Vernazza and learn how to make pesto! Your private guide would show you the best Cinque Terre. Air-conditioned and licensed roundtrip private transportation from the Transportation Hub at La Spezia cruise port! Free time to explore Lucca! Photo stop in Pisa for the Field of Miracles and famous Leaning Tower of Pisa! Your private La Spezia Excursion. Get inspired by the fortress town of Lucca and it's landscapes. 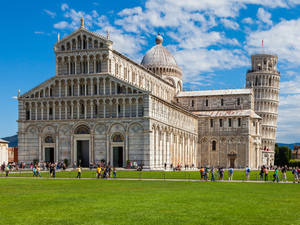 Then you will visit one of the most popular places in Italy, the amazing Leaning Tower of Pisa.